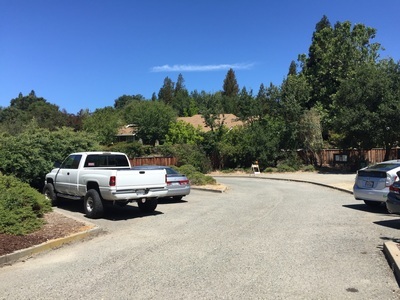 Parking: Free parking lots at the addresses above. Best time to visit: Spring, winter, or early mornings on a hot day, as there is little shade on the trails. 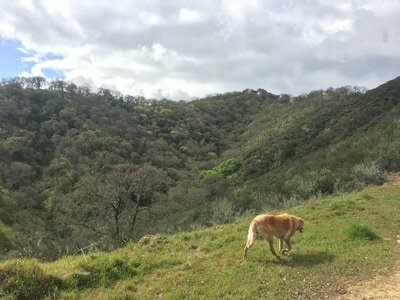 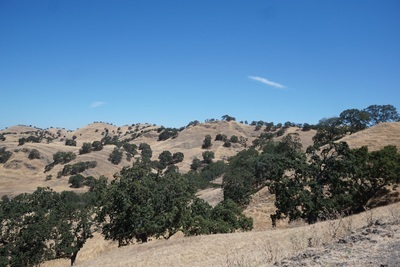 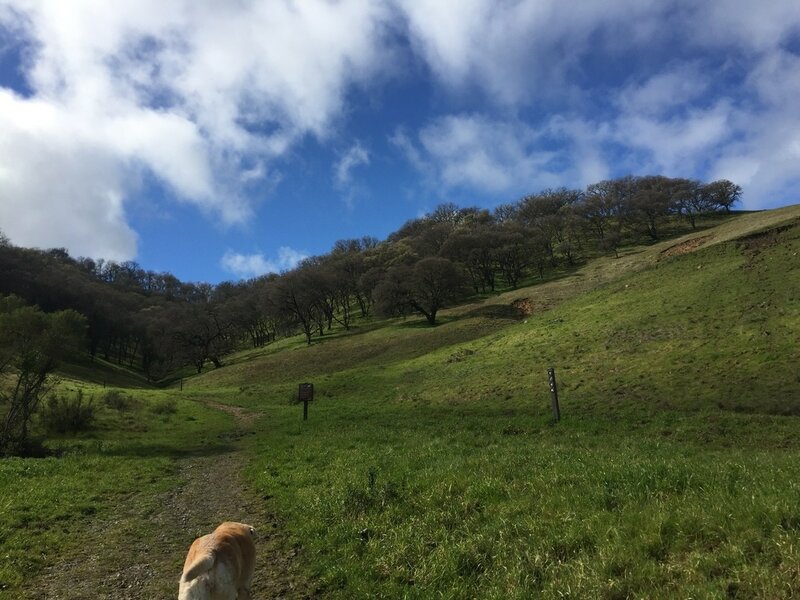 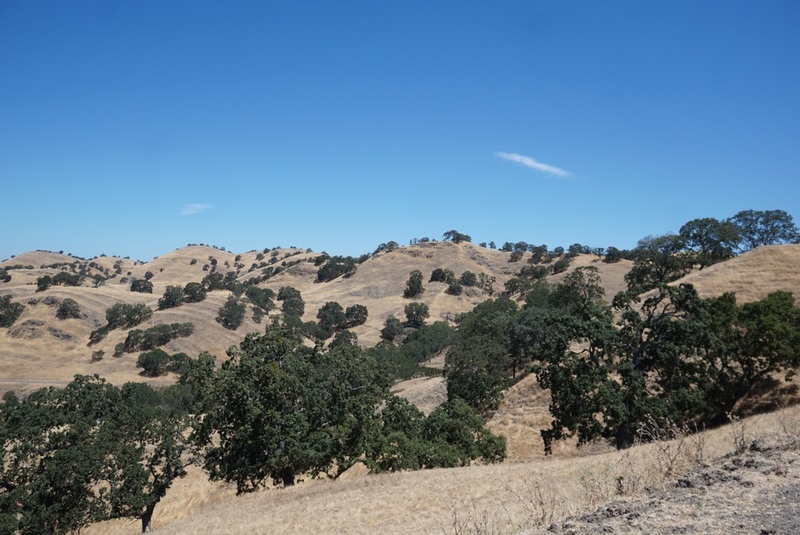 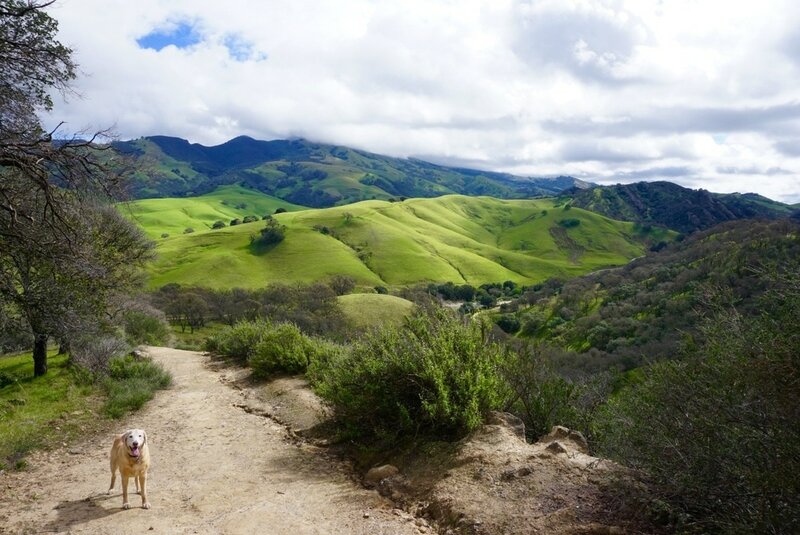 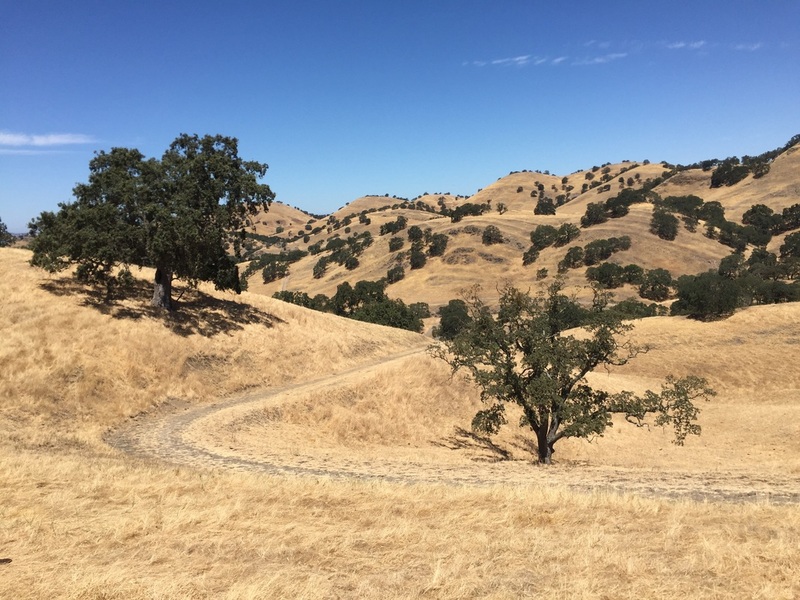 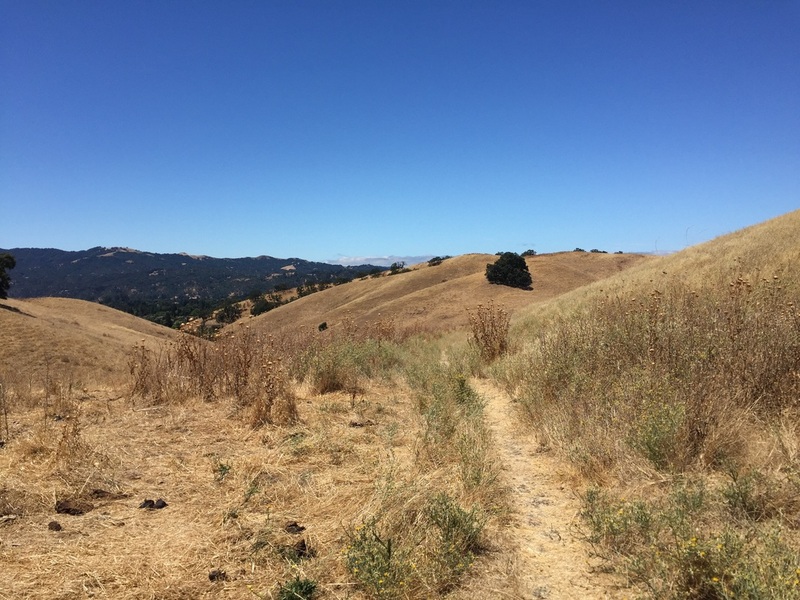 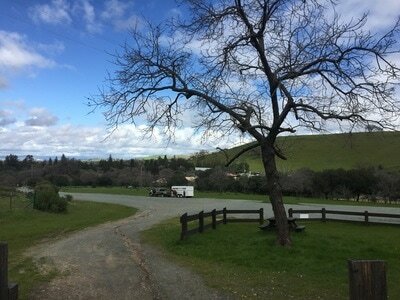 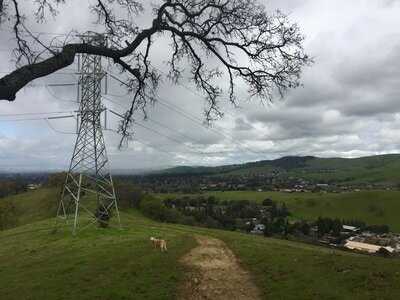 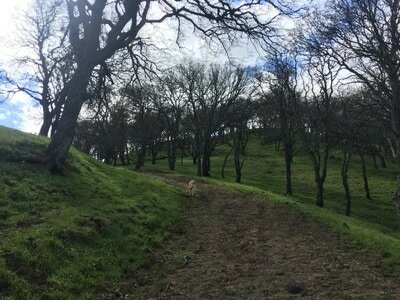 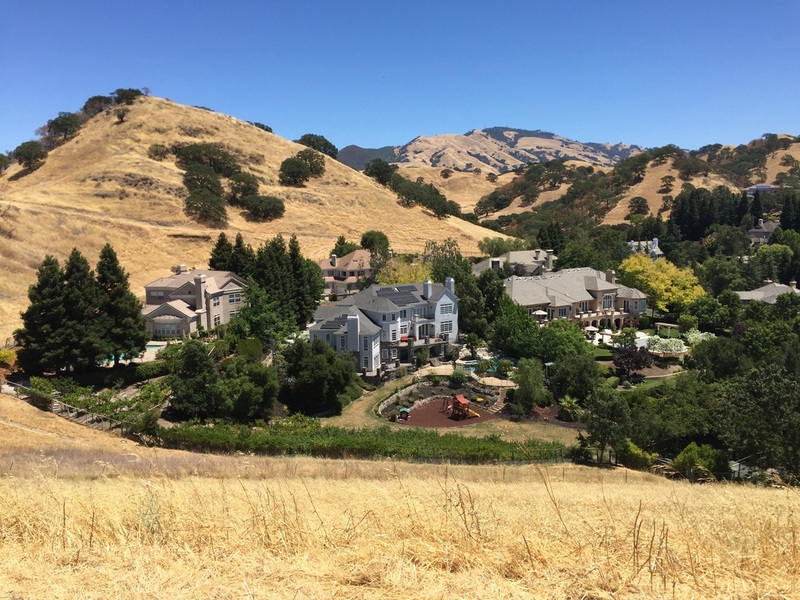 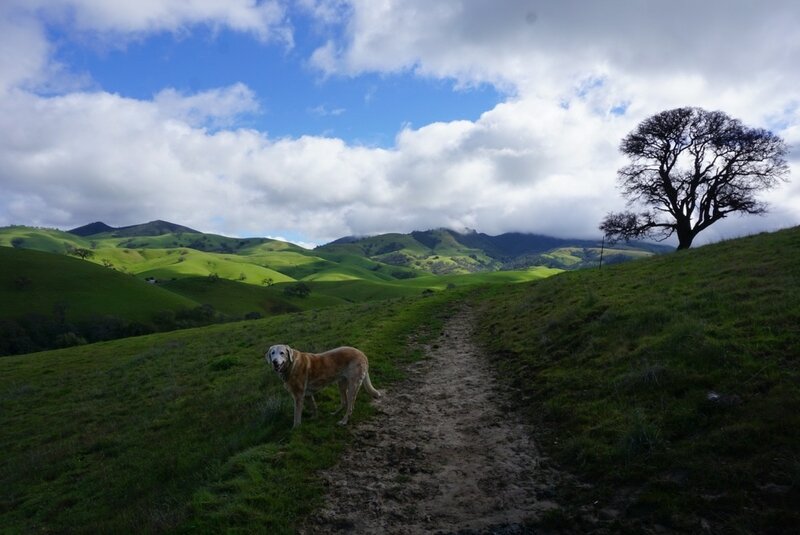 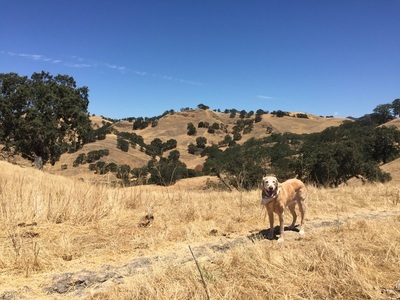 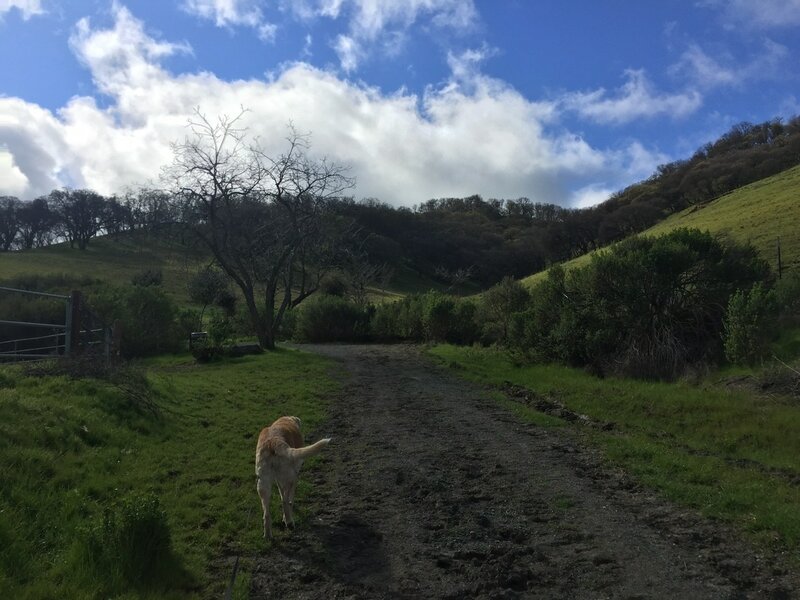 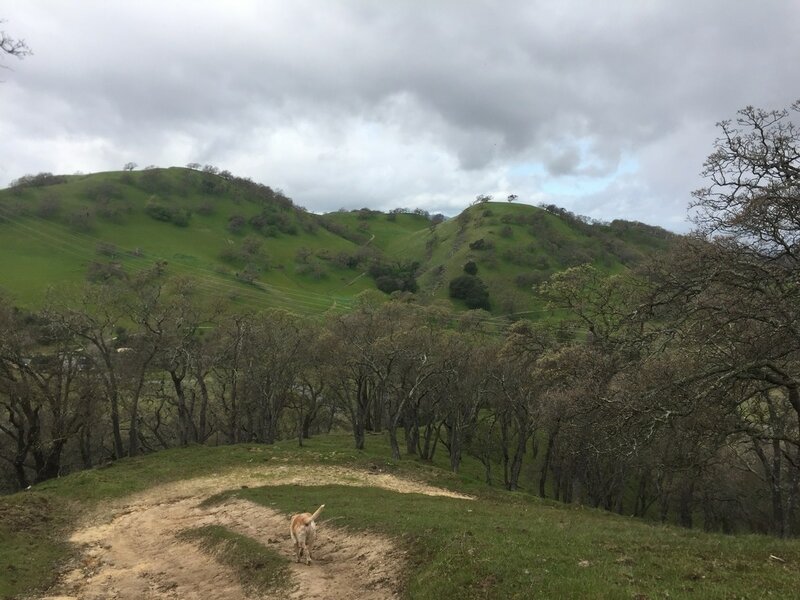 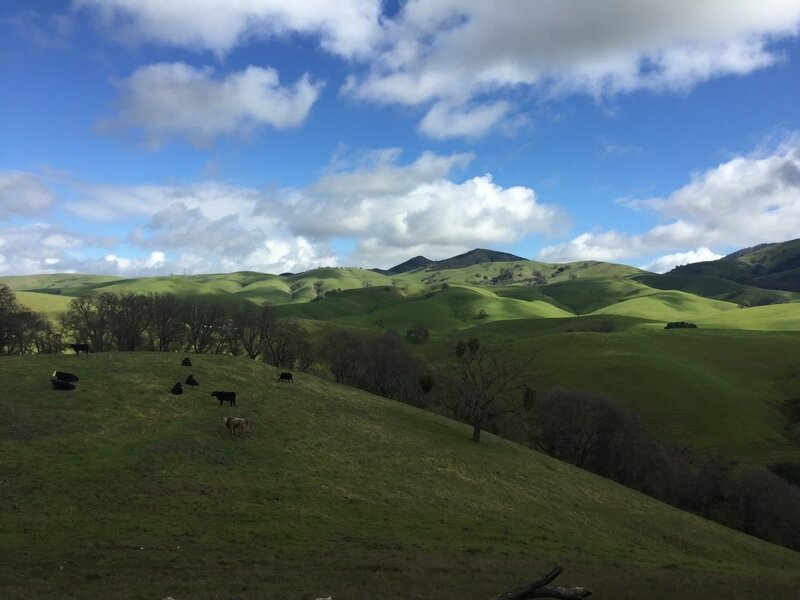 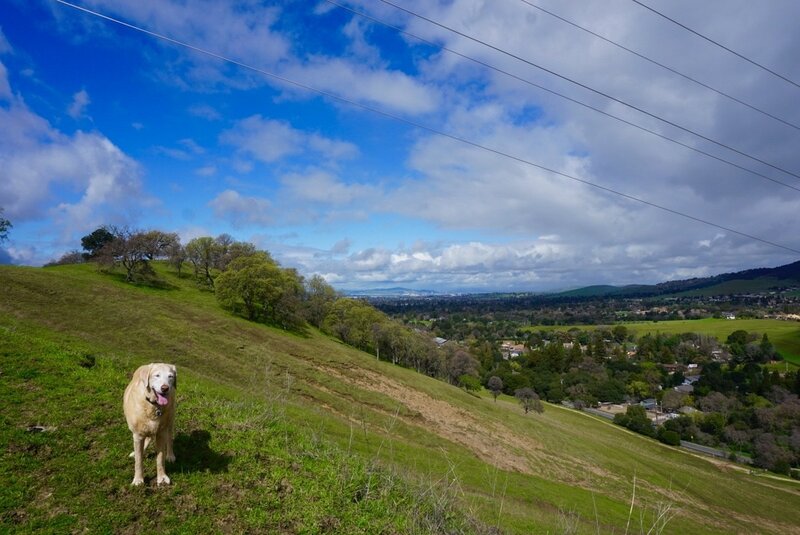 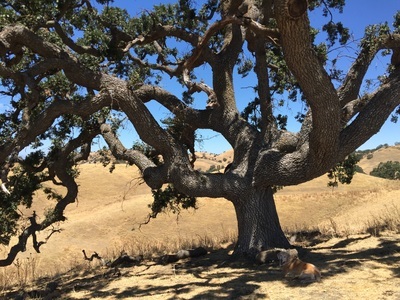 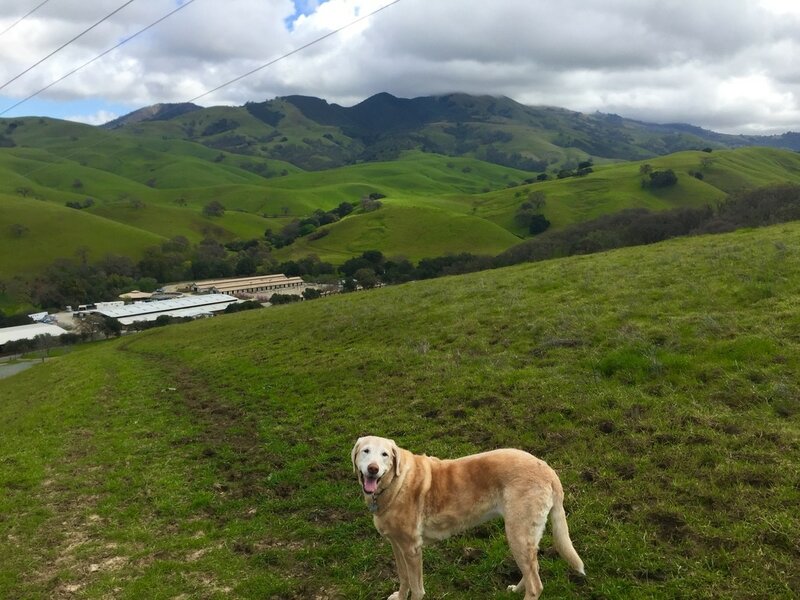 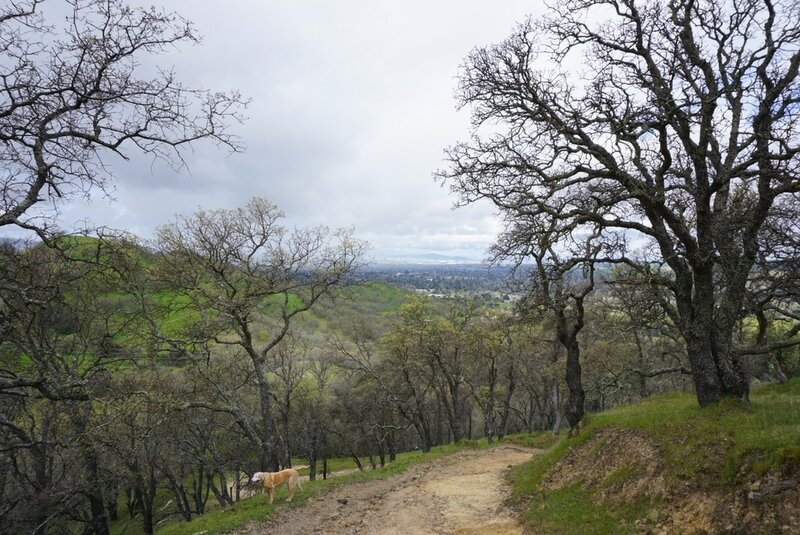 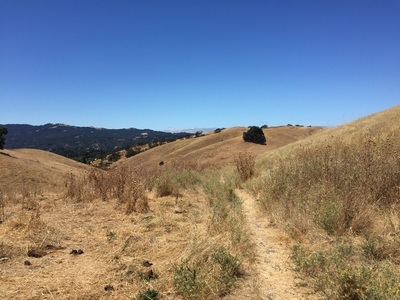 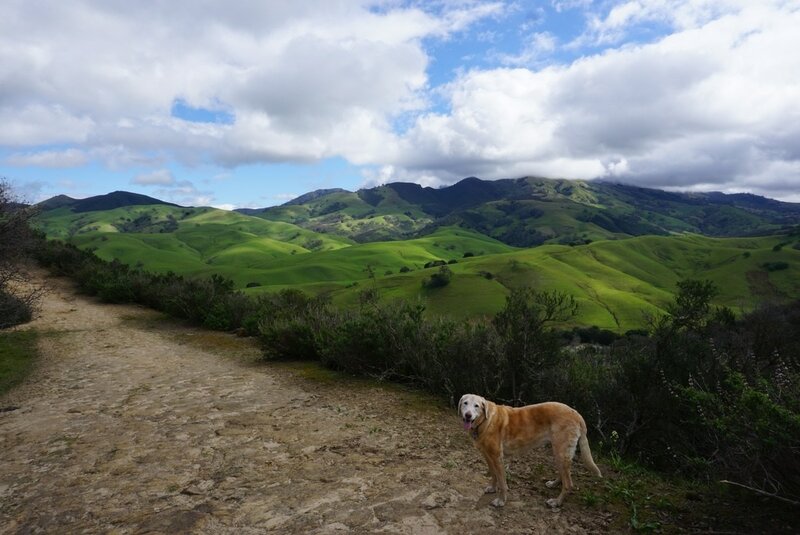 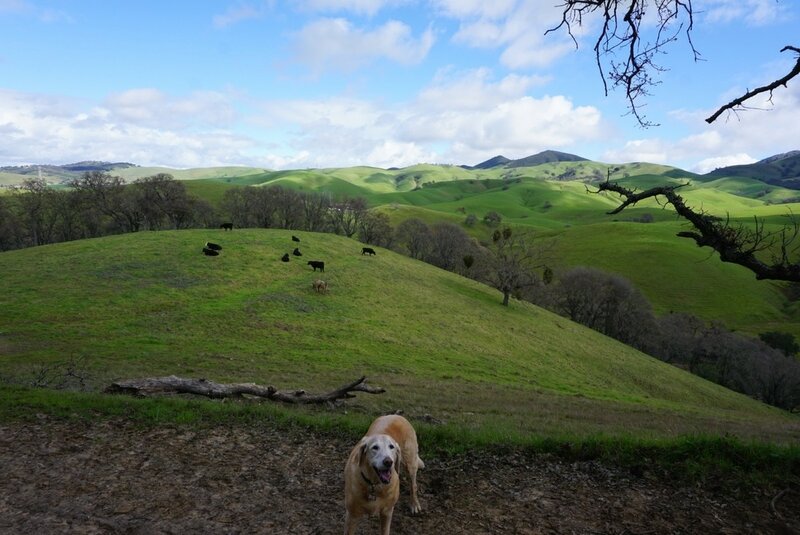 Description: Hike 1,060 acres of open space through oak woodlands, grasslands and along ridge tops with views of the surrounding cities and bay. 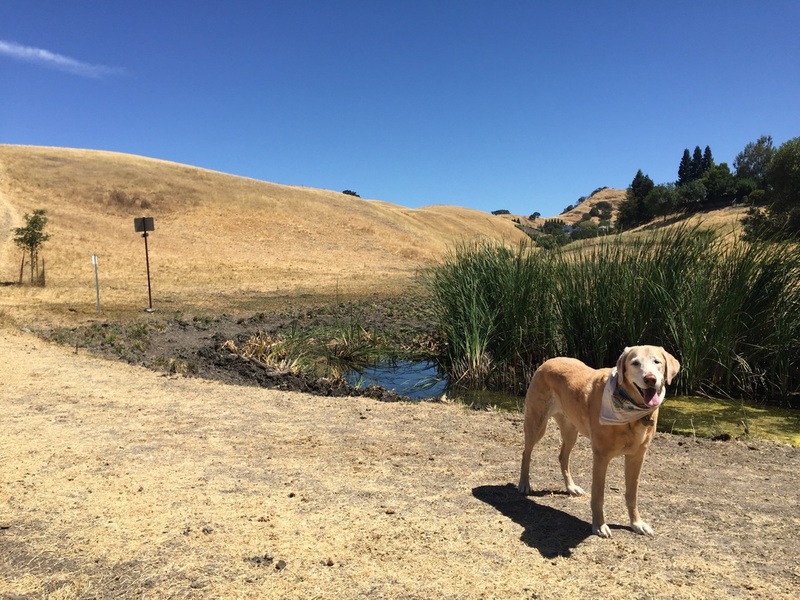 You will even find a pond during summer but don't let your dog drink from or swim in it. 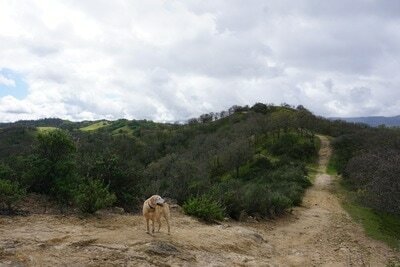 During our hike we saw an abundance of birds, lizards and ground squirrels. 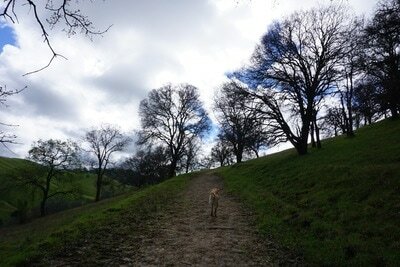 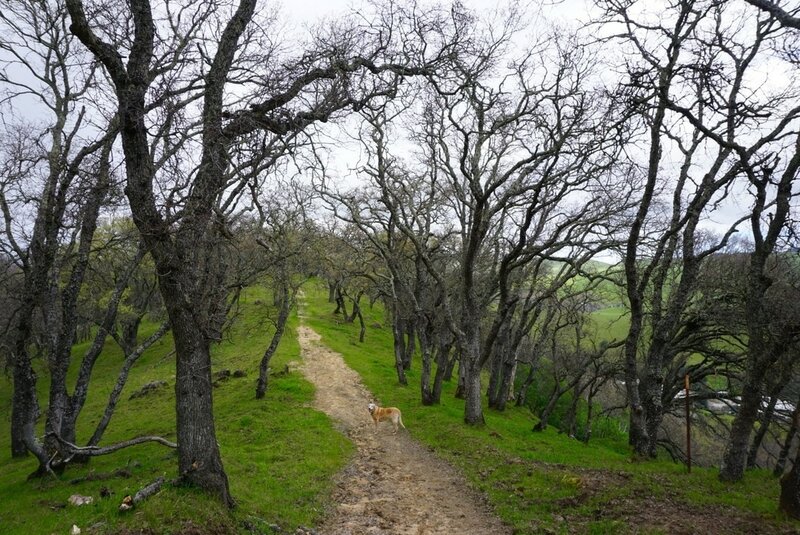 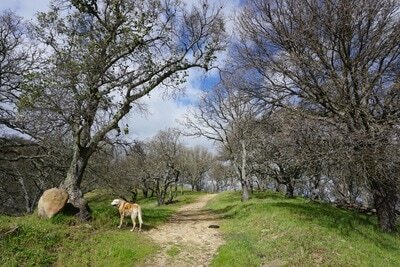 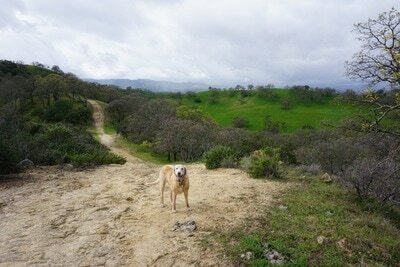 For one of our hikes, we started from the Orchard Staging Area off of Castle Rock Road. 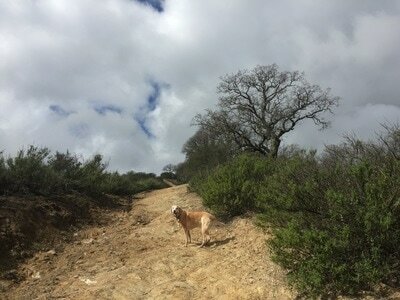 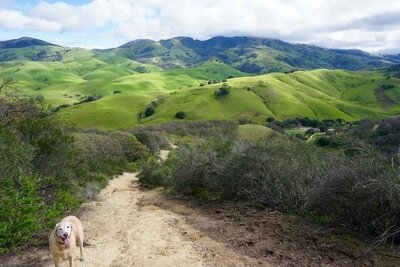 We hiked up to the Shell Ridge Trail and over to the Diablo Scenic Trail. 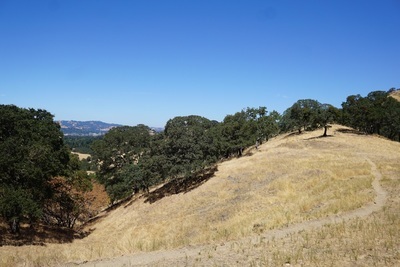 The hike to the top was a short but very steep section, which I highly recommend for the incredible views of the rolling hills at the top. 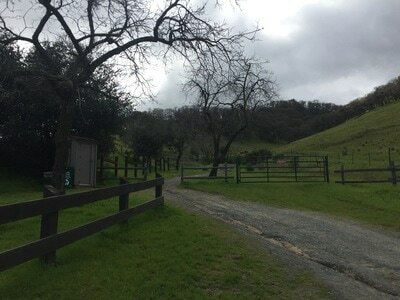 The staging area is popular among equestrians, so we saw a lot of horses on the trails. 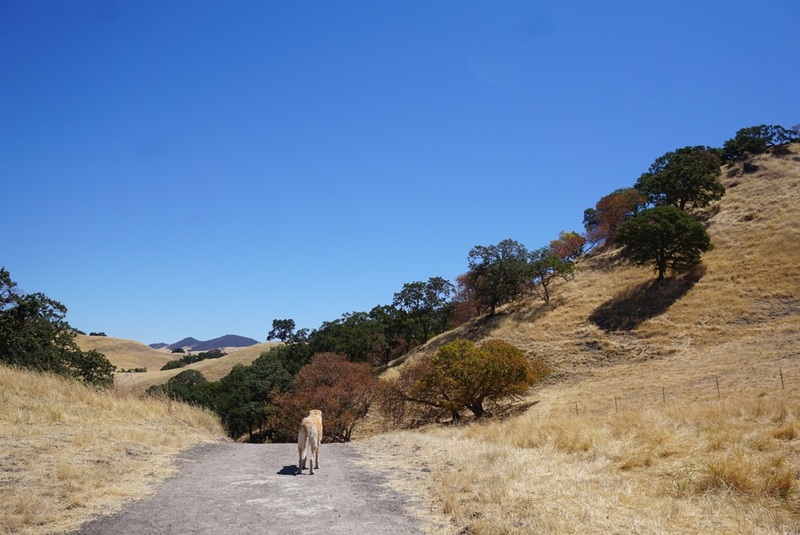 We encountered a few cattle, but they were far enough away from the trail that they didn’t seem to mind us. 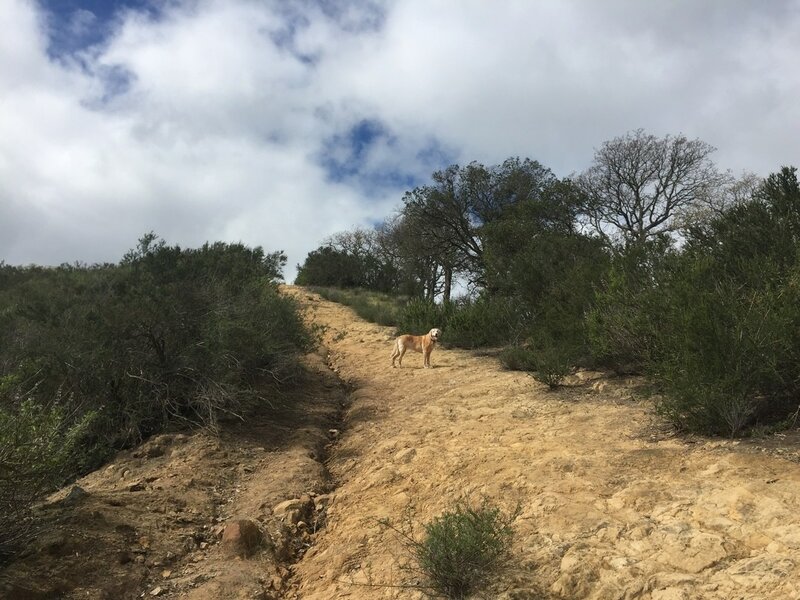 We intended to hike down to the Borges Ranch Trail and into Shell Ridge, but unfortunately cattle were congregating near the staging area so we didn’t chance hiking down into it. 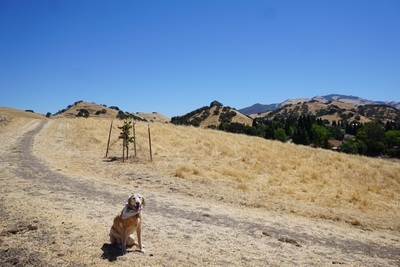 We ended up driving to Borges Ranch and hiking into Shell Ridge from there. 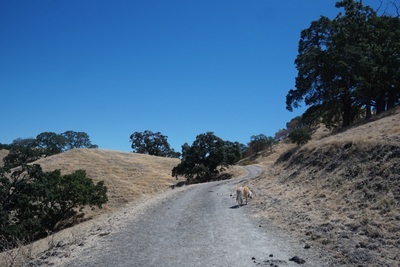 We were able to make a loop back to where we started, although there was quite a bit of storm damage on the trail on our way back down. For another hike, we started from the Livorna Staging area. This took us on a short flat trail between residential areas, then climbed uphill, we went through a cattle gate, down along a pond, and then up a hill via the Foothills Trail. 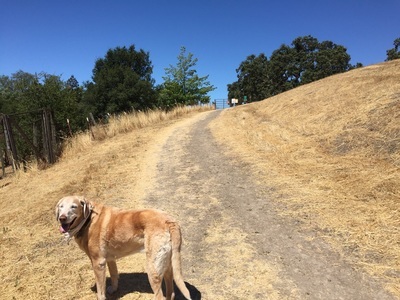 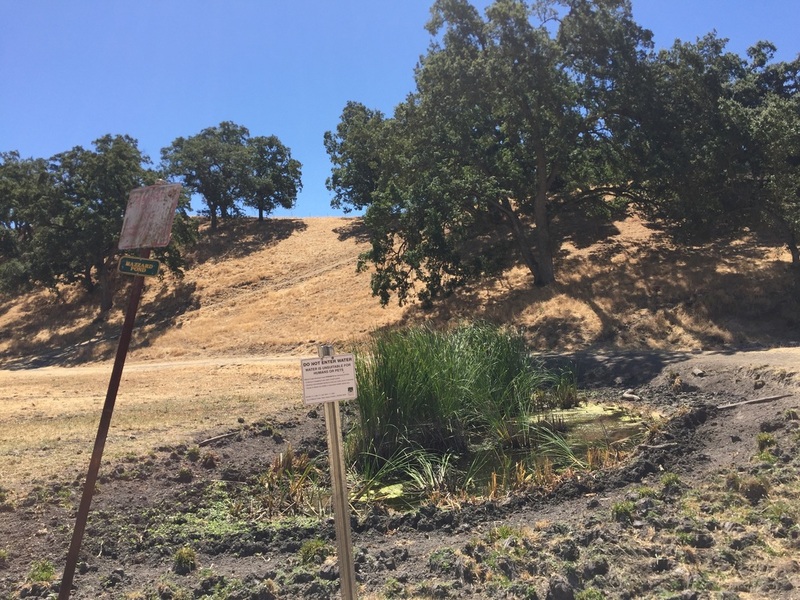 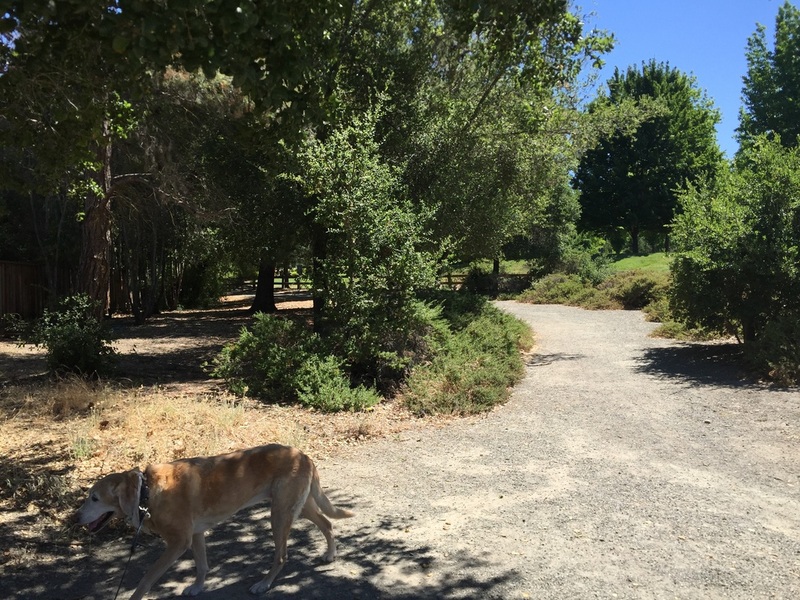 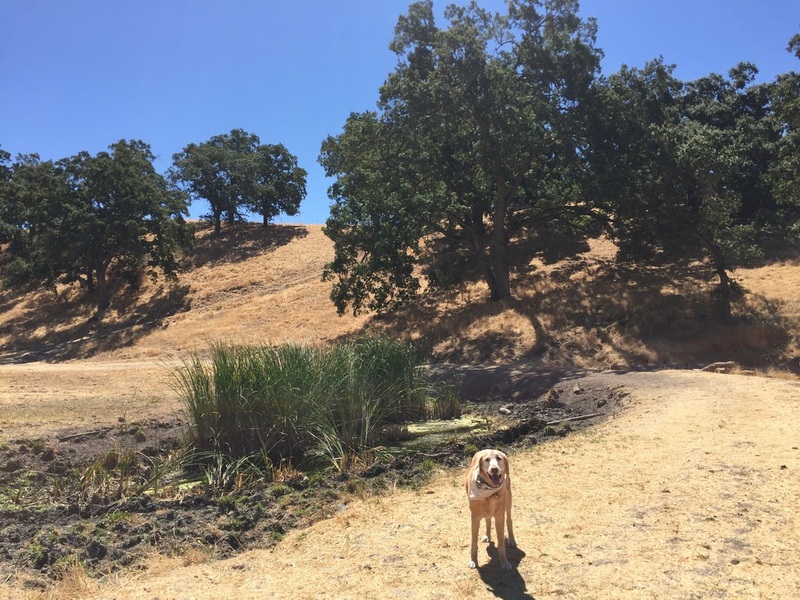 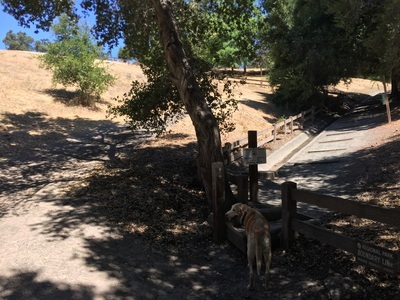 This trail dipped down and climbed back up several times, snaking around until reaching the EBMUD water tank. 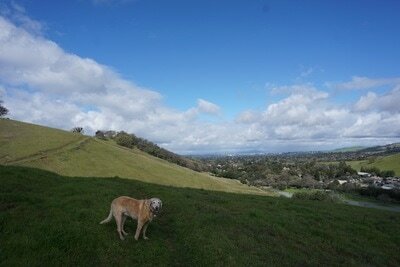 This trail yielded beautiful views of the surrounding hills and city, with several great outlook points. 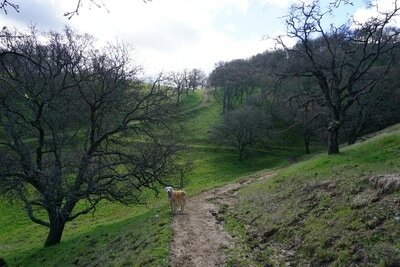 We also explored the Stonegate Trail, which we entered through another cattle gate. 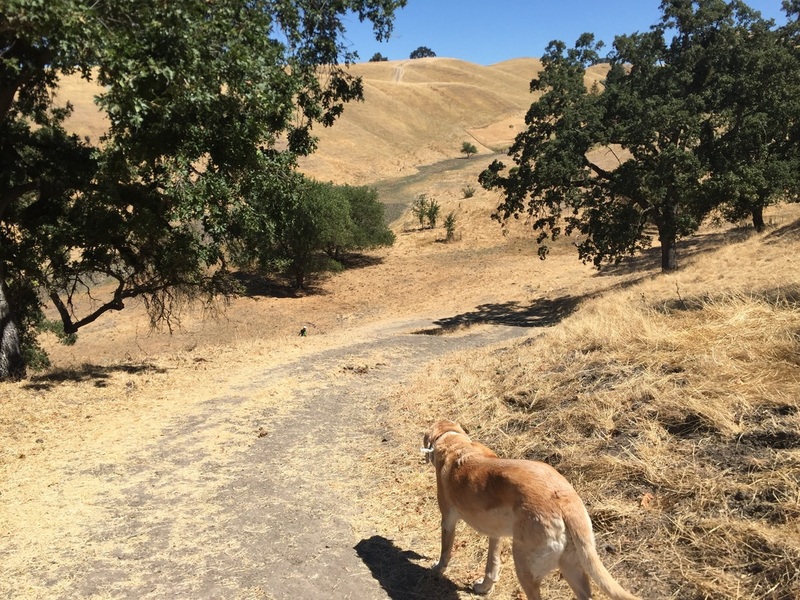 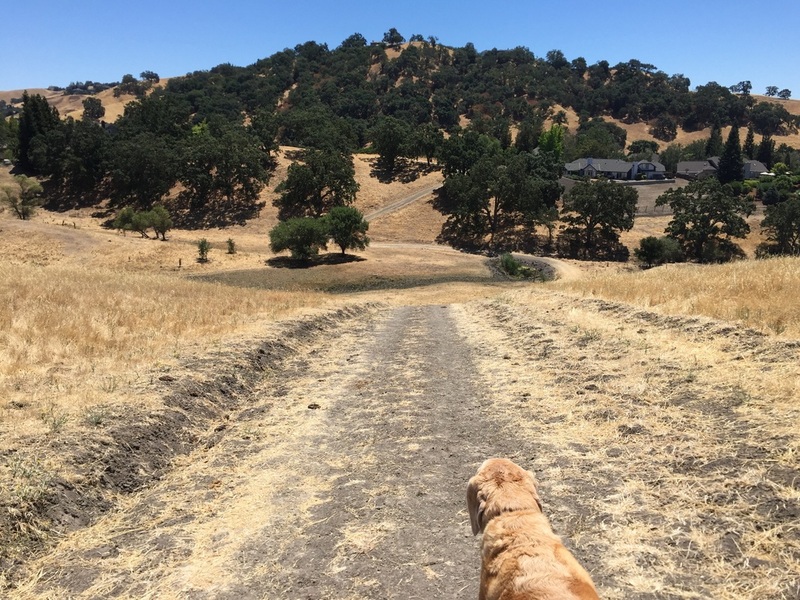 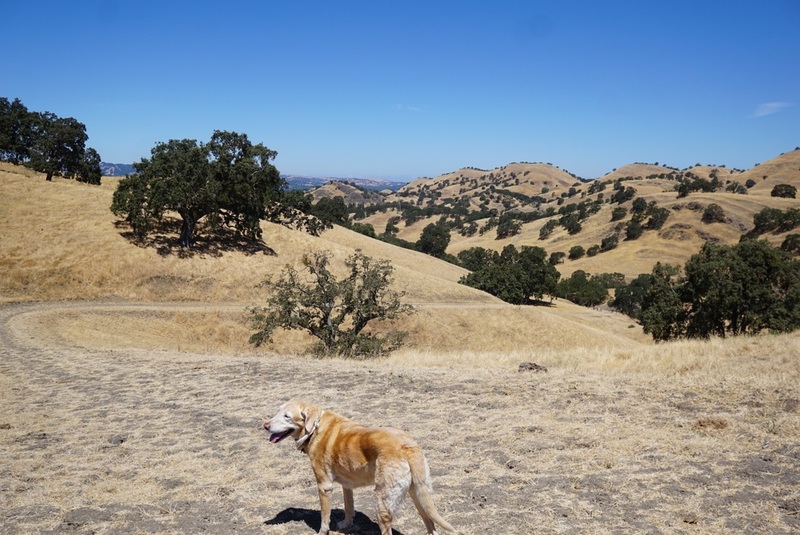 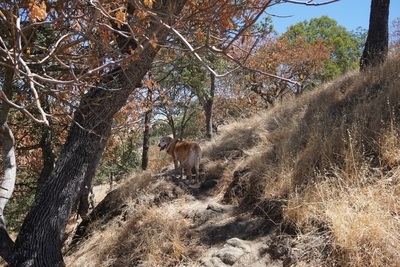 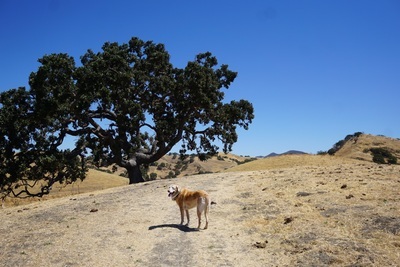 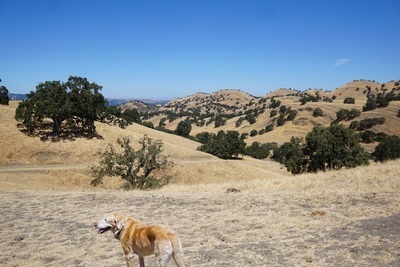 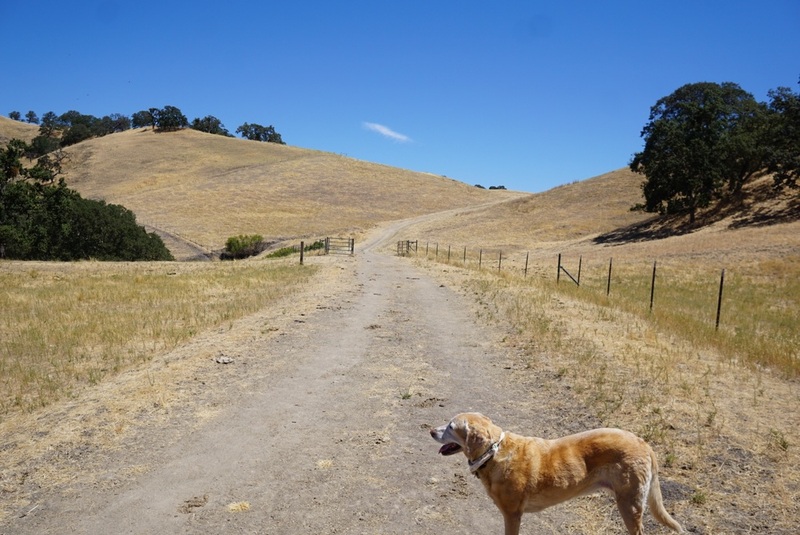 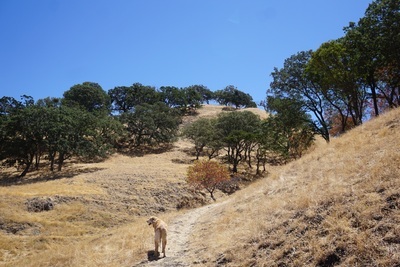 I wouldn't recommend hiking up this one with your dog, as the trail is very dry and severely cracked, which has left large craters your dog will find difficult to navigate, and may even cause a fall. However, this trail is lined with several colors of vibrant trees and will lead to the other side of the park. You can take the Foothills Trail to Twin Ponds Trail to reach the other side of the park instead. During our hike we saw cow pies that looked to be only a few days old, but we did not see any cattle during our hike. 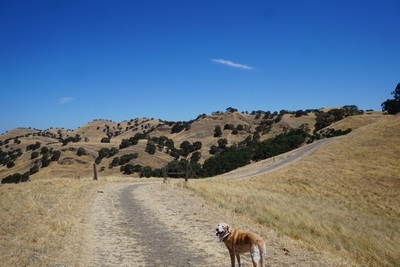 You can also hike into Shell Ridge from here. 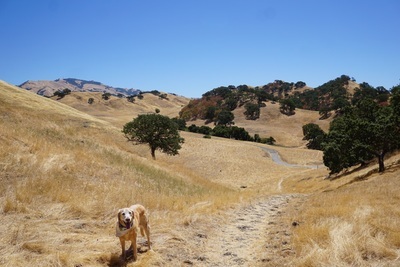 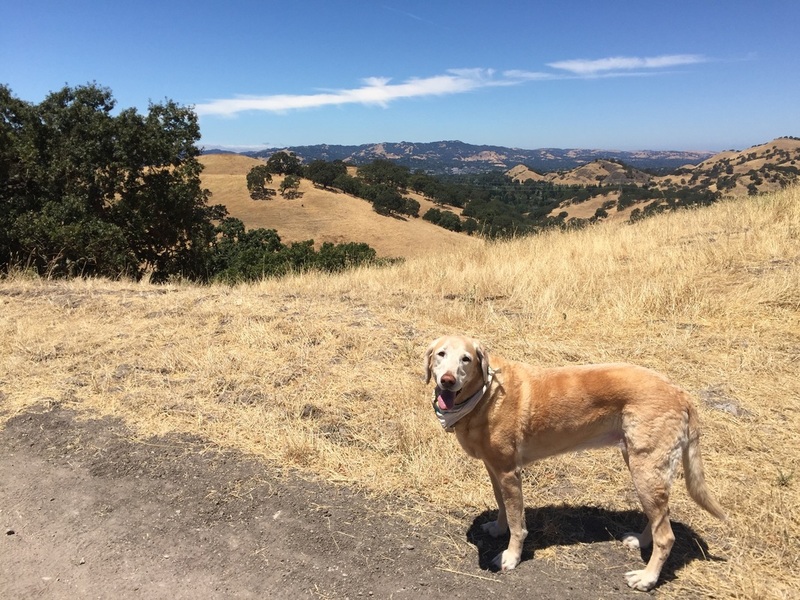 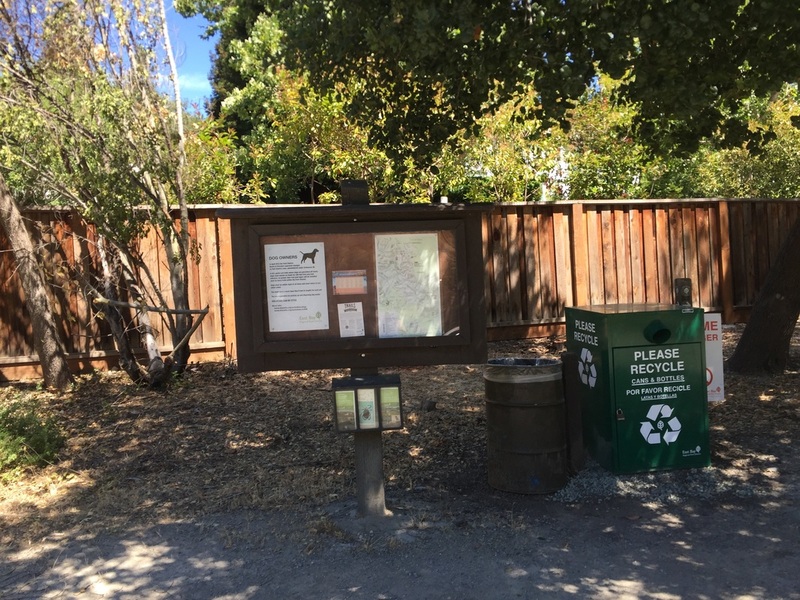 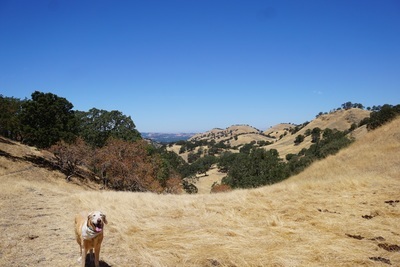 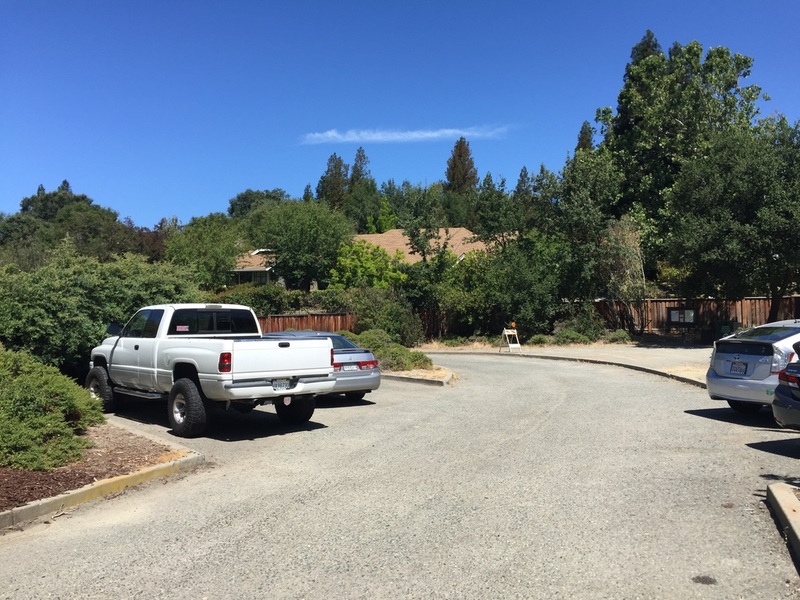 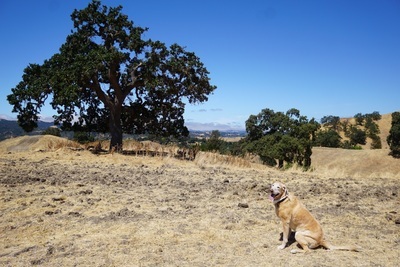 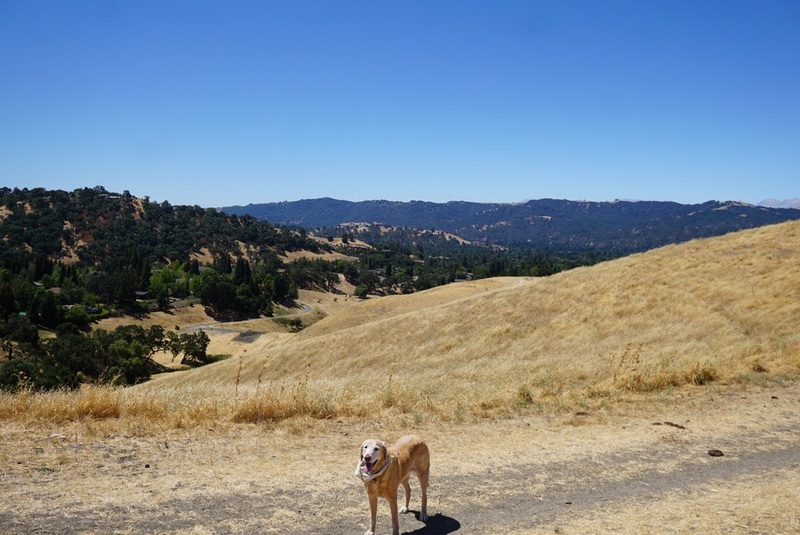 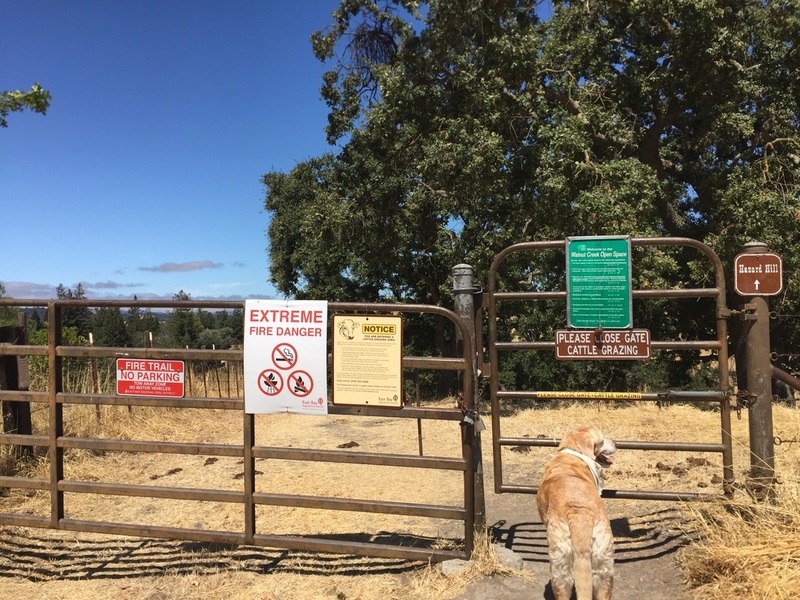 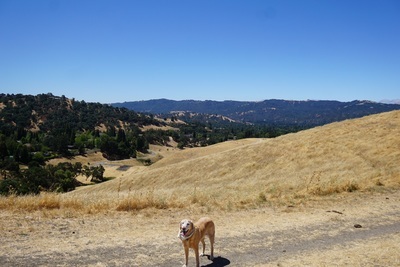 Dogs are not allowed in the nearby Castle Rock State Park or Mount Diablo State Park. 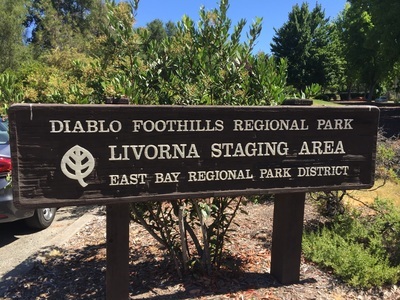 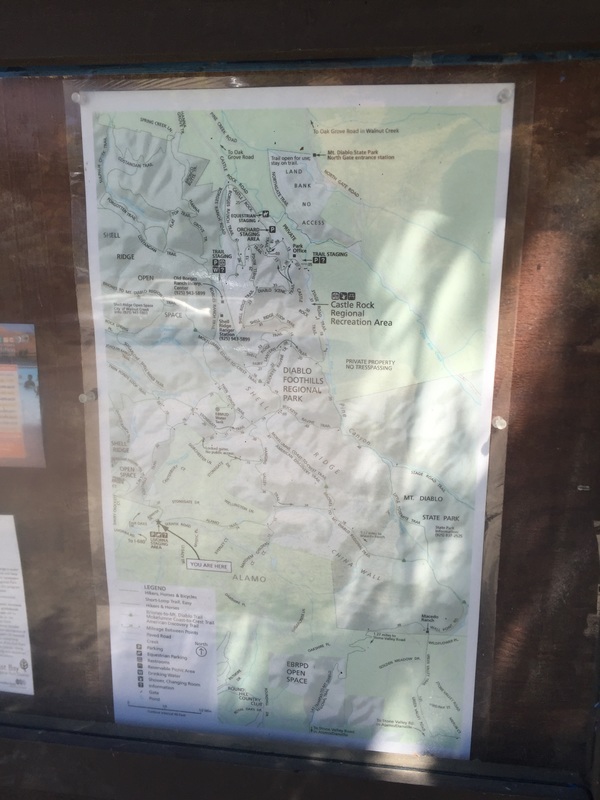 For the Livorna staging area, there is a trash can at the trailhead. 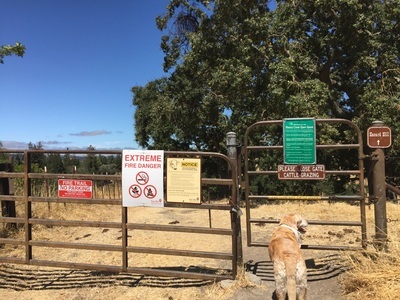 No restrooms or water available nearby. 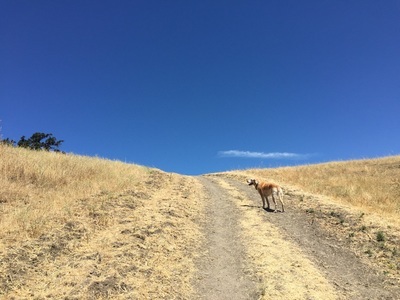 Bring plenty of water. There is a pit toilet and garbage can at the Castle Rock Staging Area entrance. Flushing toilets and water are available at Borges Ranch near the interpretive center.